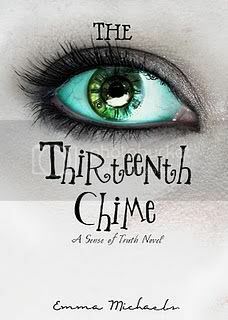 Today I have a guest post for you from Emma Michaels, debut author of The Thirteenth Chime. Hello everyone! I am very excited to be here today doing this guest blog! 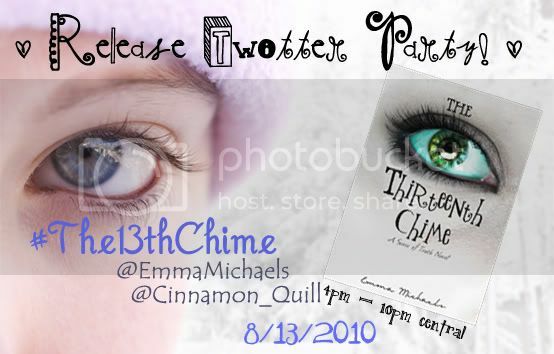 My name is Emma Michaels and my debut novel, "The Thirteenth Chime", is due for release Friday the 13th in August 2010. Some of you may know me from my book blog, where I started doing reviews last December and have been since. Yes, I am a blogger turned author and I am very pleased to have the opportunity to share my novel with all of you. For some, writing is a way to make a living, while for others it is merely about doing what they love. For me, it is both, and I have plans to work hard on my literary career and get to the top of the "New York Times Bestseller's List". I believe that social networking, specifically bloggers and blog readers, are going to have a lot to say in the future about the direction that the literary world is heading. It is my hope that all of you will join me in proving this belief and doing so by helping me get to the the top of that list. I believe we can do it together because it is all of YOU that makes it possible for authors to bring you the books that you enjoy reading. I'm often asked questions about why I don't currently have an agent. The reason for this is that I received over a hundred standard form rejections from agents who didn't even ask to see a sample of my writing. 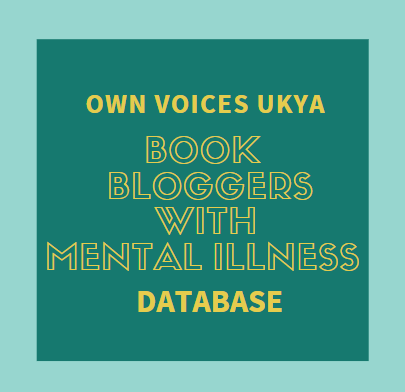 Then, due to the recommendation of a dear friend and fellow blog reader, it was suggested I take the plunge and start querying publishers directly. I am very glad I took that plunge because that has helped me get to where I am today. Thanks to the support of my publisher, bloggers and blog readers like you, I have gotten the chance to share my book with the world and this is an excellent example of why the voices that speak out can be heard. These are your voices and I thank you for letting me hear them and getting the opportunity today to share my voice with all of you. I also want to share that both I and Bokheim have something special planned for the August 13th, 2010, so I hope that everyone will be on the lookout! I also hope to one day get to congratulate other bloggers and blog readers who become authors. All of you have been so wonderful and supportive, filling me with hope and elation that I am now getting to share "The Thirteenth Chime" with you. The Thirteenth Chime by Emma Michaels - Destiny has finally found the life that she has always wanted. She is about to finish college, has a fiancé that loves her, and a great summer on the West Coast planned with her friend, Stephanie. 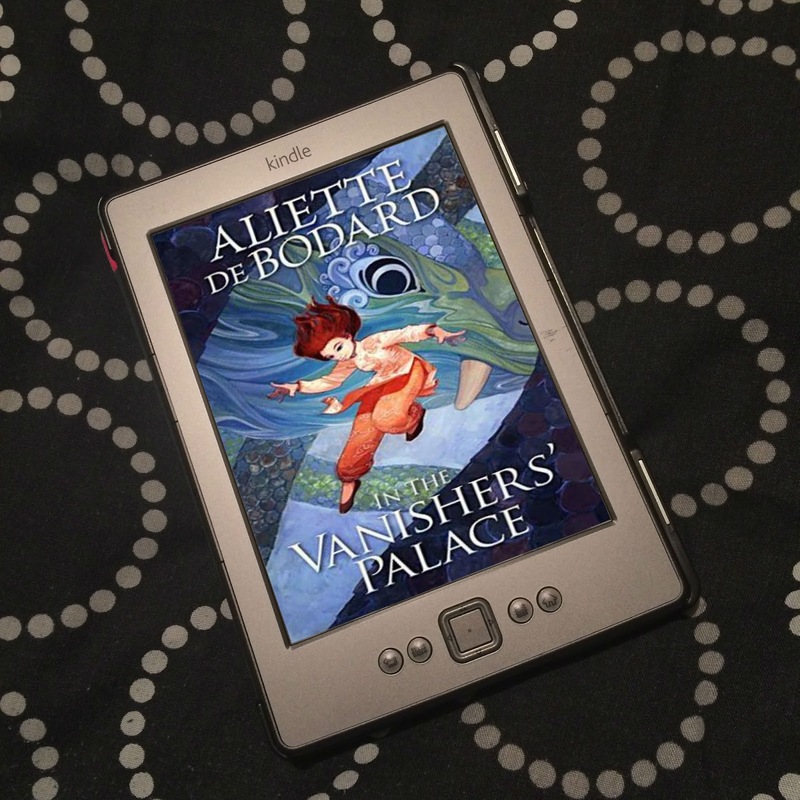 But her world is turned upside down when an antique clock mysteriously chimes thirteen times and someone attacks them, sending Stephanie and her mother to the hospital. Alone, and without any help from the police, Destiny has no choice but to turn to the one man she had left behind a year ago - her ex-boyfriend, David. Together, they must solve the riddle of the thirteenth chime before the clock strikes thirteen again. Yet as they face their own past and hearts, a trap over half a century old is waiting for them to become its prey. 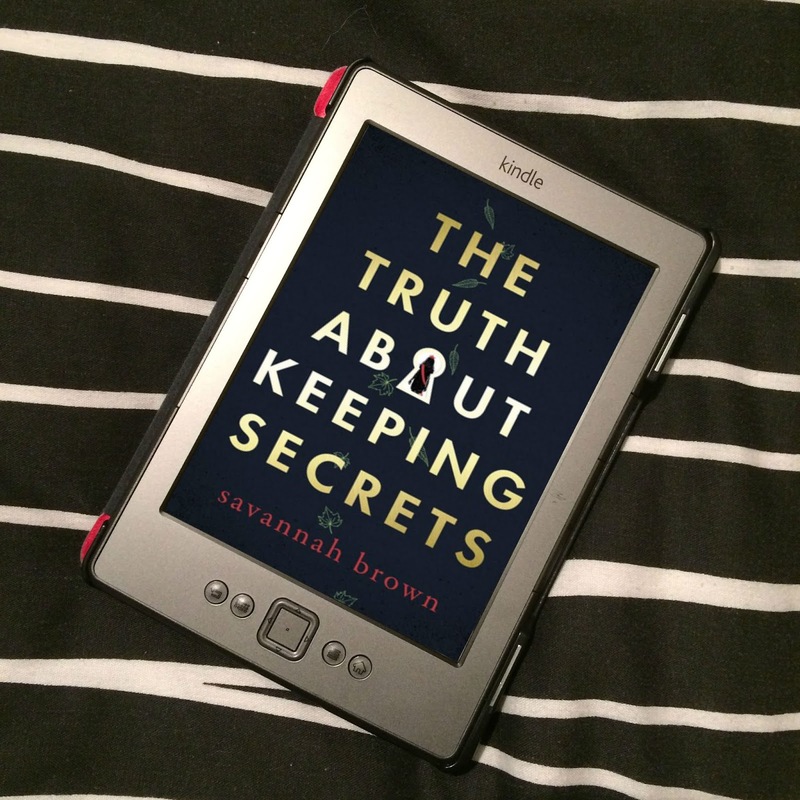 Very excited about this book and I have greatly enjoyed not only this guest post, but an interview I read with Emma. It really is exciting to know that she is on her way doing it her way! Thank you so much for helping me spread the word and posting my guest post!! !